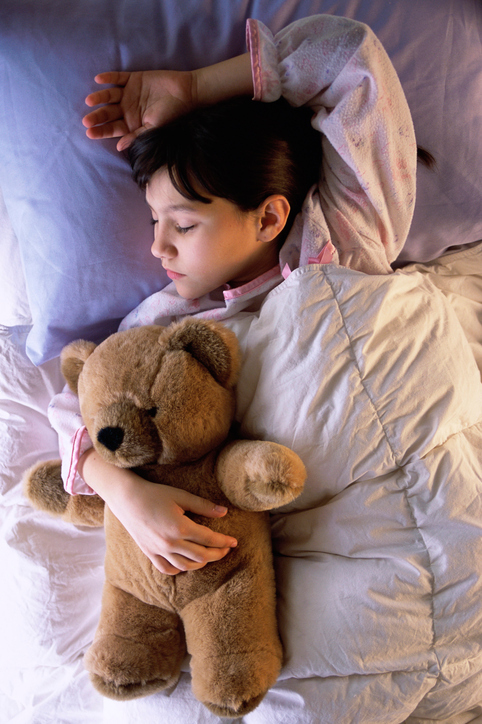 Some children require a weighted blanket or white noise in order to fall asleep easily. Please consult your pediatrician before using any of the tips in this blog. While many parents use these practical strategies, many pediatricians recommend that infants sleep with nothing in their cribs. Talk to your pediatrician to find out what is best for your individual child. When you get into bed at night, the last thing that you want to hear is your baby crying in the next room over. Often times, newborn babies can have trouble adjusting the the sights, sounds, and physical stimulation around them as they are trying to sleep. There are many sensory techniques used by experts that can help your child to be in a deeper slumber. You can also try these sensory processing toy ideas that will keep your child’s brain working throughout the day, so they can rest their brain at nighttime. Check out these sleep tips so that you and your child can get the rest that you deserve. As an infant, your child was used to being swaddled in a tight blanket. This provided slight pressure to him or her as they were sleeping. When the baby is sleeping in its crib, no pressure is being applied to them, so there is a change in their sensory feelings. There are many sensory-friendly sleep tips for pressure on a child when they are asleep. Some include using a heavier blanket, wrapping the child in a loose burrito blanket, or massaging them right before sleep. Similar to the pressure sensory approach, babies are used to being warm. While being held in their parent’s arm, body heat is being exchanged, keeping the child quite warm. We have a few sleep tips for you so that you can keep your baby warm and comfortable at nighttime. Placing a rice pillow or microwavable plush stuffed animal in the crib with your infant will ensure a bit of extra heat around them. Another smart and simple sensory sleep tip for your child is to put blankets in the dryer for a few minutes before bed. With this sensual bedtime tactic, your baby will be warm and cozy as they are falling asleep, but won’t be overheated as the blankets cool off throughout the night. Often times in order to have a deep, restful sleep, adults need some sort of background noise. Babies are no different than the rest of us! Muted and repetitive noises are perfect for calming a baby while subtly stimulating their senses for the night. White noise can also help to block out other noises that might wake your child in the middle of the night. This means more shuteye for you as well. A few tips for sensory-induced sleeping with sound include investing in a ceiling fan or a white noise machine for your nursery. Check out our other tips for parents to keep your child happy, healthy, and aware of their senses! This entry was posted on Monday, June 13th, 2016	at 3:45 pm	. You can follow any responses to this entry through the RSS 2.0 feed. Both comments and pings are currently closed.